Does Sadhguru, the yogi, mystic, visionary and founder of Isha Foundation need any introduction ? He has a huge following and fervent admirers. Even the non-spiritual people also listen to his sessions. 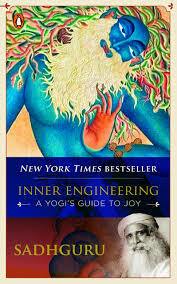 So, when I saw a book from Sadhguru, "Inner Engineering" at home, I just had to be read right then and there. 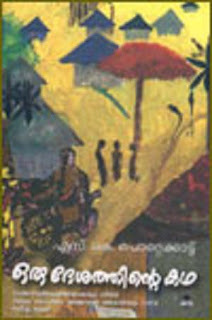 In the very first chapter, "When I lost my sense", he described his first spiritual experience in Chamundi Hill in Mysore and that is when I lost myself into the book. His profound experiences were described in such simple words that his journey through the spiritual path could be felt and visualized. Each of the subsequent chapters had a different theme like Yoga, Body, Mind, Energy with various experiences and learning for the reader. What is really helpful is that this book is not all theory. Each chapter had few 'Sadhana' sections where Sadhguru showed ways in which the reader can practice and experience for themselves. In the chapter on Energy, he said that every forty to forty-eight minutes, there is a shift of dominance in the way the breath is moving through the right and left nostrils. And, asked us to be aware of this so we know that at least something about us is changing every forty-eight minutes. The book has to be read, practiced and bring experiences to our own awareness. And, to me, it is a permanent addition to my book collection as it is one of those that needs to be read and refreshed again and again.